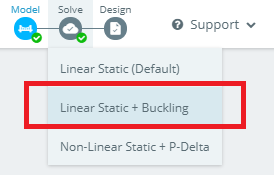 If you performed a "Linear Static + Buckling" analysis, you have the option to select the 'Member Buckling Results' option in the reporting pop up. 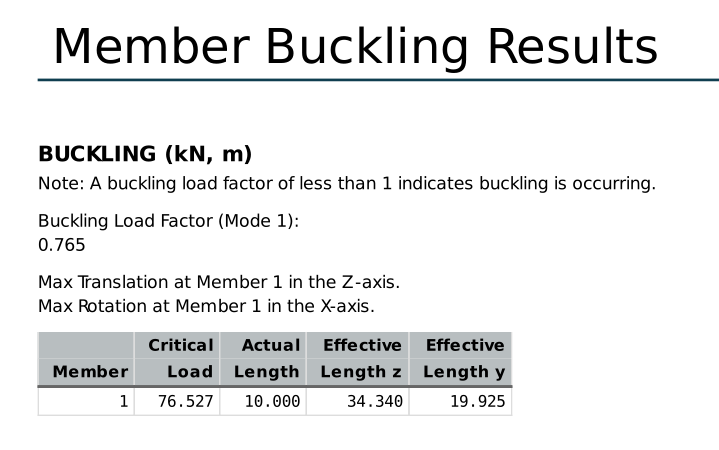 It provides a tablulated summary of all the members which are buckling. The table will have results for critical load, actual length, effective length (z and y directions). See the example below.